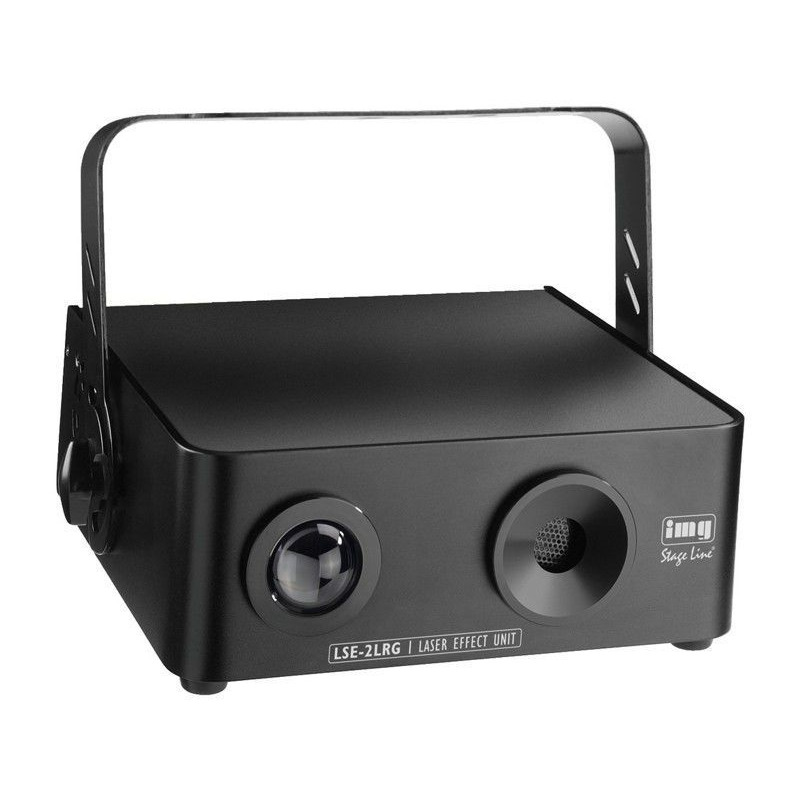 Show laser effect unit, with a red laser (100 mW) and a green laser (40 mW) as well as an integrated RGB LED floodlight, 9 W.
By buying this product you can collect up to 7 loyalty points. Your cart will total 7 loyalty points that can be converted into a voucher of € 1,40. The show lasers of the EffectLine generate creative patterns like rotating light spots and impressive mirror ball effects or cloud effects. Pulsating cosmic beams also provide a great variety of lighting effects and create an electrifying atmosphere ensuring full dancefloors in the club. with a red laser (100 mW) and a green laser (40 mW) as well as an integrated RGB LED floodlight, 9 W. The unit can be controlled via the 8 DMX channels and in 8 stand-alone automatic modes and sound modes. An integrated microphone with adjustable sensitivity allows for a music-controlled operation. The effect unit generates various rotating effects of light spots and lines (comparable to a mirror ball effect). In addition, the super high-speed stepper motors provide numerous extra lighting effects. The RGB LED floodlight with special lens provides additional background lighting effects. Furthermore, 8 LED colours as well as the rotational speed and the rotating direction of the LED diffusion disk can be adjusted in stand-alone mode. The master/slave function allows for a simultaneous operation of several units. The unit is a class 3B laser. The accessible laser radiation is hazardous to the human eye, often also to the skin! It is dangerous to look directly into the beam of class 3B lasers. It may be possible to view a beam safely via a diffusing reflector. When using a class 3B laser, the operator has to appoint a laser safety officer in writing (BGV B2 = German Accident Prevention & Insurance Association regulation B2)! Laser safety officers must have the requisite qualifications!